Vikki tube by Celinart Pinup. Get it Here. Hearts At War kit from Manipulated By Magik. Get it at Mystical Scraps. Fonts: Xiomara script and the quiet scream. Selections, modify, Expand by 20. 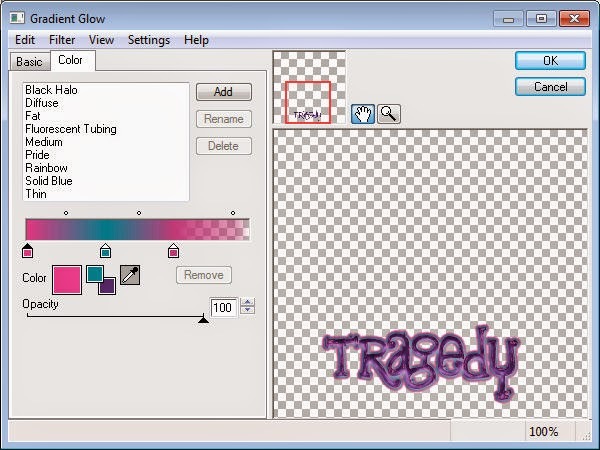 Add a new raster layer and move under your frame layer. Position under the bottom right corner of the frame. 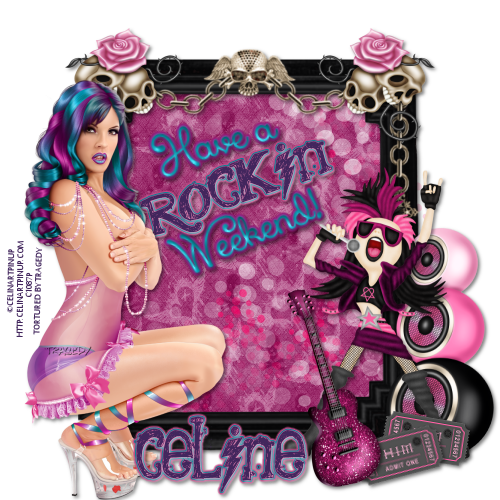 Using the Xiomara font type out the "Have a" and "Weekend!" Add fat Gradient Glow of 3. Using the quiet scream font type out rockin' in lower case. Position over top right corner of the frame. Position just outside of the bottom right side of the frame. Position just left of the speaker. Use your deform tool to position on a slight angle over the bottom right foot of the rock chick. Use your deform tool to position just over the bottom ticket. Position over the left foot of the rock girl. C/P your tube over the left of the frame. Apply tour name using the quiet scream font in lower case letters. Repeat gradient Glow from before. Don't forget to add your copyright & Watermark!